Special counsel Robert Mueller's investigation has prompted guilty pleas from three people in President Trump's inner circle. More than 30 people have been indicted in Special Counsel Robert Mueller's investigation into Russian election interference. They range from Russian intelligence officers to Trump's campaign chair. But three stand out above the rest for the status they once held in Donald Trump's orbit: Michael Flynn, Michael Cohen, and Paul Manafort. Here's where those three stand in the investigation. Of the three, Michael Flynn was the closest to the Trump administration. He briefly served as Trump's National Security Adviser in the White House, before being ousted over his effort to conceal contacts with Russian officials. Flynn also pleaded guilty to lying to the FBI about those contacts, which included discussions about Russia's foreign policy towards the U.S. Mueller's office has asked for leniency in Flynn's sentence due to his cooperation with the investigation; a judge postponed Flynn's sentencing to give him more time to continue that cooperation. Paul Manafort was Trump's former campaign chairman, and has been deeply connected to Russian interests. Before joining the Trump campaign, Manafort spent years lobbying for pro-Russian politicians in Ukraine. Manafort struck a plea deal over several conspiracy charges levied against him; but prosecutors later said that he violated that deal by lying to investigators after striking the agreement. His sentencing is still to come. Finally, Michael Cohen is more connected to Trump's personal life than his political one. He served as Trump's personal lawyer and self-described "fixer" for several years. Cohen has admitted he lied to conceal work he did on a potential Trump construction project in Russia, as well as several hush money payments to conceal embarrassing stories about Trump. Cohen also cooperated with the investigation, but was still sentenced to three years in jail. Right now, Cohen is the only witness to publicly link Trump to a potential crime: Cohen says Trump directed him to make those hush money payments, which could violate campaign finance laws. 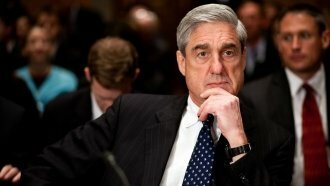 But Mueller is keeping a lot of info still under wraps, leaving the public to guess about the potential outcome.